Ensuring that your guests are adequately topped up with drinks and refreshments at your wedding or event is extremely important. 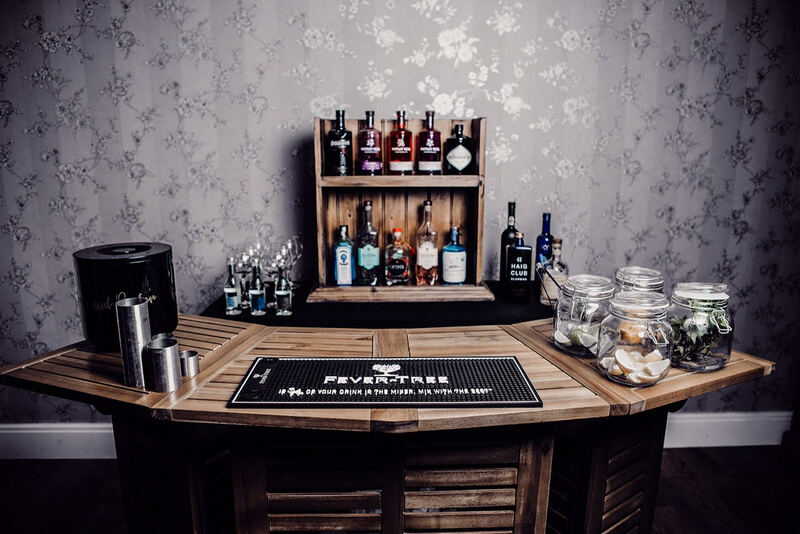 Many venues do have on-site bars but there are lots of occasions where you will need to hire a mobile bar. One of the great things about having a mobile bar is that you get to decide on exactly the kind of bar you want. You can decide how the bar looks, making it a great focal point or feature at your event but also what drinks are served. You can hire a mobile bar to go almost anywhere, in your garden, your house, in a marquee and in lots of venues available to hire. Even if your venue has a bar, you might also want to hire one to offer alternatives to your guests – a mobile prosecco van or gin bar, for example, could work well alongside a standard bar. The mobile bar provider should have well trained, professional staff on hand to work your event and make sure everything runs smoothly. There are 2 main types of bar available to hire, a paying bar or a free bar. A paying bar is when your guests pay for their own drinks as they would do in a pub. A free bar is where you as the host pay for all the drinks and the bar staff serve them up without taking any payment. Very often with a free bar, there will be a minimum number of guests or minimum spend set by the bar company. You will then get charged at the end of the event. Some mobile bar companies may even offer you the option to just hire the bar, allowing you to use your own drinks and bar staff. The bar supplier should also provide the glasses, ice a way of keeping glasses and equipment clean. To comply with licensing laws, you may be required to obtain a licence for the mobile bar at your event. The mobile bar company should be able to provide this for you but make sure you speak to them about it before confirming your booking. The following questions are things you may want to consider and ask mobile bar companies at the time of making an initial enquiry. How many staff would you need serving at your event? Can you provide me with a sample drinks menus and price list? How much time do you need to set the bar up before the event and remove it afterwards?